PHILADELPHIA, PA - Civil rights lawyer Larry Krasner’s campaign for District Attorney announced today that it has won the endorsement of the Pennsylvania Association of Staff Nurses and Allied Professionals. 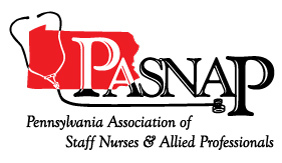 PASNAP represents over 6000 nurses and healthcare professionals who live and work in Philadelphia, including many newly organized union members. “PASNAP is excited to support to Larry Krasner for DA. Larry shares our values and will use the office to fight for justice for everyone, regardless of race or wealth or status. He is not a politician who will prioritize corporations and business interests over everyday citizens,” said Patty Eakin, RN, the union’s president. "Equal justice for everyone, regardless of race or wealth or status, makes our communities safer and healthier." Krasner's campaign is already endorsed by a broad range of powerful progressive organizations: AFSCME 1199C, Pennsylvania Federation Brotherhood of Maintenance of Way Employees (BMWED) - IBT, B.L.O.C. (Build, Lead, Organize, Campaign), Food & Water Action Fund, Liberty City LGBT Democratic Club, Penn Democrats, Pennsylvania Working Families Party, Philly for Change, Reclaim Philadelphia, and 215 People’s Alliance, along with the national organizations Color of Change PAC, Democracy for America and Our Revolution.